Comox Valley chiropractor Dr. Patrick Johnson and the team at Ocean Chiropractic look forward to assisting you on your journey to regaining your health and well-being. We specialize in Chiropractic care using the Koren Specific and Torque Release Techniques in Courtenay, British Columbia. Chiropractic care is not just about low back pain, neck pain, headaches or pain in the arms and legs, it’s about making sure your nervous system and body is functioning properly. There are many ways that adjustments can improve your overall health. With regular adjustments, chiropractic care offers preventative health benefits, and is essential for keeping your body balanced, flexible and functioning at its best. Everyone, from babies to seniors, can benefit from regular chiropractic care. We also offer Custom Orthotics to residents of Courtenay and the Comox Valley. Custom orthotics reduce stress and strain on your body by bringing your feet back into proper alignment. Call us for your free assessment! Our mission is to empower our practice members to make healthy and informed decisions and we will work collaboratively with you to develop a treatment plan to restore your health. We also strive to serve, love, heal and transform you beyond your greatest expectations. Contact us today to schedule your appointment with Dr. Patrick Johnson, chiropractor Courtenay! We look forward to meeting you and your family! Dr. Pat is a caring individual very concerned with enabling his clients to achieve maximum pain free and well-balanced lives. Since starting my chiropractic care plan my life has been impacted in the following ways … I had chronic hip pain – it’s gone. My blood pressure has gone down. I’ve always had a cranky back, but the gentle KST method has helped more than any other “traditional” chiropractic care ever did. Chiropractic is a very gentle, non-invasive form of “body maintenance” complimentary to the active life I choose to live! I don’t “winter” well. By having regular chiropractic adjustments, I have been able to maintain an optimum immune system. I didn’t realize now much discomfort I was actually in before seeing Dr. Johnson. Not only do I sleep better, I can walk without my legs and feet aching. My sciatica and plantar faciitis seem to have disappeared, especially with regular monthly adjustments. Dr. Johnson is a very tender, loving, caring and special doctor. Since being adjusted, I no longer have headaches and I always feel aware. I seem to be able to reach a plateau where I have never been before. Sights and sounds are heightened. A sense of well being and perfect happy state envelopes me. I have suffered with a permanent back injury since 1990 and have always been treated by “traditional” Chiropractic methods. Since starting Dr. Johnson’s method of passive chiropractic 2 years ago I have maintained a healthy lifestyle and with monthly maintenance I don’t have the severe pain cycles that I had with “traditional treatment” Thanks to Dr. Johnson and staff for my ongoing care. 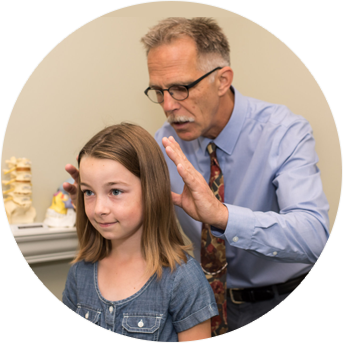 The greatest benefit of attending Ocean Chiropractic is that Dr. Johnson listens to me! I feel confident that we are working together to discover what is going on with my body, and through regular adjustments, I know I am on a path towards good health. I see Dr. Johnson for regular chiropractic treatments and asked him one day about my sore feet. I have advanced bunions and he suggested I try custom rehabilitative orthotics to keep my bunions from progressing. He took the time to explain how they worked and what I needed to do to help strengthen my feet! I would highly recommend talking to Dr. Pat about how orthotics could help you. Dr. Johnson is the nicest, gentlest and most knowledgeable person I know. His advice goes beyond chiropractic. For the first time in 10 years, I do not have chronic lower back pain and my carpal tunnel syndrome has greatly lessened. I do not wear my wrist brace any more. I also have had fewer problems with my knees. It’s amazing what happens when you open up your own pathway of healing.